This two year specialist advanced diploma in relational counselling* (25 days training each year) will equip counsellors with the theory, understanding and skills to work inter relationally on a wide range of issues. The advanced diploma in relational counselling takes an integrative approach to counselling, drawing upon humanistic and cognitive behavioural counselling orientations. Psychoanalytic adult attachment theories are a major focus, looking at how our attachment history affects all aspects of life (Jeremy Holmes, The Search for the Secure Base) and using the Skilled Helper Model (Gerard Egan) as a guiding framework. The course covers issues impacting on relationships. Offering a mix of theory, personal development and skills practice, the course will encourage students to explore attitudes, deepen understanding and develop skills appropriate to inter-relational counselling. Who is the advanced diploma for? This advanced diploma in relational counselling is aimed at those who want to become qualified counsellors. The central aim of the advanced diploma in relational counselling is to enable trainees to make an effective transition from using counselling skills to being able to work relationally with clients across the life cycle. Participants will become highly skilled Integrative counsellors and reflective practitioners who work ethically and effectively. Course applicants are expected to have a first degree and a COSCA counselling skills certificate as a minimum entry requirement. However, APEL for previous experience will be taken into account. Core Module one: Introduction to Relational Counselling Processes. Core Module two: Introduction to Counselling Theory. Core Module three: Fundamentals of Counselling Practice. Theories related to working with Intimate Couple Relationships. Core Module five: Relational Counselling Processes. Core Module six: Counselling Theory. Core Module seven: Self-Awareness and Reflective Practice. Methodologies for working Intimate Couple Relationships. Further optional modules in specialist areas will be offered in the future. 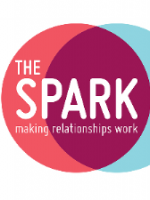 The Spark Counselling is a leading provider of couples counselling, marriage counselling, individual counselling and school-based counselling in Scotland. This is complemented by an extensive range of professional training and education programmes provided by The Spark. Courses range from introductory programmes to masters qualifications.